“High abdominal fat leads to an increased production of bad cholesterol which saturates blood vessels. This blood gets deposited on the inside of blood vessels, leading to an increased risk of forming blood clots in the body causing stroke,” said Dr Satnam Singh Chhabra, head (neuro and spine department) at Sir Ganga Ram Hospital in the capital. “Follow a heart-friendly diet at home. Diabetics can control cholesterol with a high intake of fibre-rich foods. There are several food items which are rich in fibre, including oats, whole-grain breads, peas and fruits,” Dr Singh added. 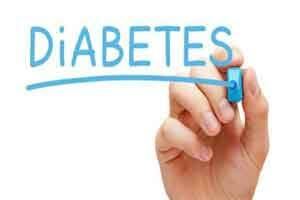 Among them, over 60 per cent are estimated to be diabetics. In India, currently there are nearly 50 million diabetics. “Diabetics should avoid fatty and fried food items as these lead to high cholesterol levels in the body,” added Ashok Rai, senior consultant at Down Town Hospital in Guwahati, Assam.